The legal marijuana industry won’t be slowing down any time soon. 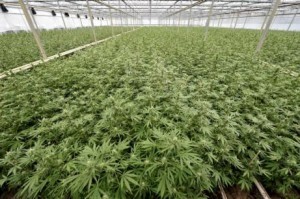 Recent research released in a report by cannabis research firm ArcView revealed just how fast the industry is growing. Through their partnership with BDS Analystics, ArcView discovered that North American legal weed sales grew by 33 percent in 2017 to $9.7 billion. The prediction is that they will continue to climb by an average of 28% annually through 2021. If this forecast turns out to be true, that would mean about $24.5 billion in annual legal pot sales by 2021. So, what has led to this tremendous growth? What is driving marijuana sales? A big reason cannabis sales are rapidly climbing has to do with the changes that are slowly taking place throughout the country. The more time goes by, the public perception towards pot is more positive than negative. Numerous national polls in the U.S. have shown that the public has overwhelming responded in favor of marijuana for adult use. Two potential changes to marijuana in North American have been named the biggest near-term growth drivers: California opening its doors to recreational marijuana sales on Jan. 1, and the discussion of a bill in Canada’s parliament. This bill would legalize recreational marijuana for adults this summer and would give the legal marijuana industry an opportunity to generate $5 billion in additional sales this year. Thanks to recent growth, the number of ways to generate a profit in marijuana stocks has broadened considerably. Before, the model was simple and pretty straightforward. It involved dried cannabis growers, distributors and dispensaries. Now, the structure is a very vertical network of related jobs that support the industry and enable it to grow even further and thrive. MedReleaf (NASDAQOTH:MEDFF) has been a pioneer in pushing cannabis oils and extract products. Back in 2016, MedReleaf held 44.5% of all Canadian cannabis oil market share. Canopy Growth Corp. (NASDAQOTH: TWMJF) is the largest pot stock in the world and should also benefit by incorporating cannabis oil sales. In recently reported third-quarter operating results, Canopy Growth Corp. more than doubled the 116 kilogram-equivalents (262 kilogram-equivalents) of oils sold in the year-ago period. Are you planning on investing in marijuana? Do you own a business in the cannabis industry? If you need cash to operate your cannabis business or require payment processing services to make secure sales, consider working with Marijuana Merchant Account. It’s safe to say that the legal marijuana industry has faced many and seemingly endless obstacles. With a new administration, legal marijuana merchants have been holding their breath to see whether the Trump administration plans to snuff out the industry. So far, no news seems to be good news. 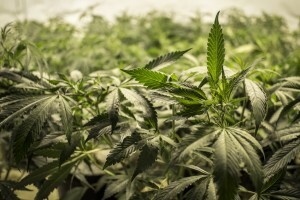 Following a visit to Las Vegas in March, Brookings Institution’s John Hudak, an expert on marijuana policy, said it was too early to tell what the Trump administration’s next move would be. After a second visit the end of October, Hudak shared that not much has changed in terms of policy coming out of D.C. Even though much is being discussed about marijuana policy, no further actions have been taken to crack down on the industry. In early September, President Trump agreed to continue the ban on using funds to interfere in states’ legal cannabis practices in his temporary budget-dealing with Democrats. Although, many are waiting to see what the government stance will be in the coming year. This budget agreement involved approving hurricane relief, federal spending and raising the debt ceiling through the end of the year. It also included a Rohrabacher-Blumenauer clause (a.k.a Rohrabacher-Farr), which serves to protect state medical marijuana programs from federal intrusion until Dec. 8, 2017. So what forces are giving pause? After all, the attorney general’s most recent comments included increasing enforcement and having the federal government play its more traditional role. However, no action has been taken. The first possible reason why could be new considerations. The second consideration seems to be resources. With each day that passes, it becomes harder and harder for the Justice Department to shut down recreational marijuana. There are now many legal medical and recreational marijuana companies throughout the U.S., with more joining soon in California, Massachusetts, Maine and Nevada. The industry has simply become too big to close down entirely. The bottom line? As more time passes and marijuana businesses are left untouched, those in the industry are becoming more and more hopeful. Only time will tell what the outcome will be for the Trump and marijuana situation. Even so, the cannabis industry continues to be difficult for businesses to navigate. One of the largest obstacles continues to be the lack of payment processing services. Still unwilling or unable to take on the risks, traditional lenders stay away. For marijuana merchants seeking a way to safely process credit and debit card transactions, the best place to secure services continues to be through an alternative provider like Marijuana Merchant Account. While Iowa has legalized medical marijuana for a few ailments, many are pushing for the legalized limits to be widened. Current Iowa law, signed two years ago by Gov. Terry Branstad and set to expire July 1, 2017, allows Iowa residents to possess and use up to 32 ounces of cannabidiol (CBD oil), a derivative of the marijuana plant, for the sole purpose of treating intractable epilepsy and its side effects. Iowans under a physician’s care who acquire an approved cannabidiol registration card must obtain the product from other states that produce cannabidiol. But few sell to out-of-state residents, which advocates say makes Iowa’s law unworkable. A bill passed by the Iowa Senate last year that failed to win support in the Iowa House would have established a comprehensive medical cannabis program for Iowans seeking relief from debilitating diseases and conditions. Proponents say the measure contained safeguards to keep it from ushering in legalized use of marijuana for recreational purposes. It also would have authorized the production and dispensing of medical cannabis for expanded uses and medical conditions. Perhaps this is true – but other states have found that this is just a myth. Of course, and thing could happen and that is where lawmakers and proponents are leaning. So, if it is widened and CBD oil is easier to obtain, will there be a problem? Legalized pot is one thing, but CBD oil is a whole other machine. You can’t just smoke it or vape it to get high; in fact, it heals more than it calms – except in those with severe seizure and cancer ailments. And yet another major issue comes not from the industry itself, but rather how people will pay for their CBD oil. “Cash oily” is a bad idea for many business, but marijuana shops and dispensaries that are cash only have a bigger target on their backs. 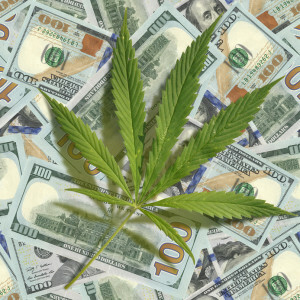 You need to look for a medical marijuana merchant account provider, like MMJ, to house your merchant account. A medical marijuana merchant account provider should have immense industry experience and knowledge to help you better your business – and steer clear of any legal issues. There are many illnesses that have been declared treatable with medical cannabis. Proponents of medical cannabis have used the drug to treat illnesses throughout history. Today, medical cannabis is being prescribed for numerous illnesses and ailments as a form of treatment. Medical marijuana is being prescribed for anything from sleeping disorders and aches and pains to chemotherapy, Alzheimer’s Disease and diabetes. 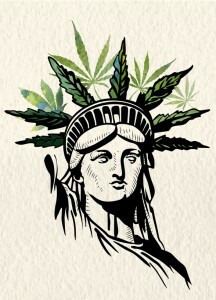 As the debate over the legalization of medical marijuana continues – it is still currently illegal on the federal level, despite legalization in many states – it has not prevented studies to be conducted concerning the benefits of medical marijuana. Recent research done by the University of San Diego has revealed that cannabis actually reduces treatment-resistant neuropathic pain. The fact that cannabis helps with treating insulin resistance has already been studied and determined to show promise. The study revealed that those who smoked pot were less insulin resistant. 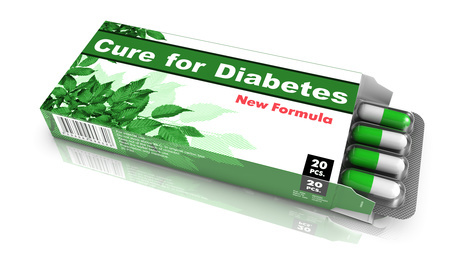 Now, upon further research, it has been determined that cannabis can also aid with the pain that those with diabetes suffer from. It even when as far as giving the possibility that cannabis can prevent it. The sixteen patients who underwent the study all suffered from painful diabetic neuropathy. When they inhaled the cannabis their pain was considerably lessened. The higher the THC content of the cannabis inhaled the less pain they felt. While the studies’ results cannot be declared definitive, it has encouraged further research regarding how medical marijuana can impact the treatment of diabetes. Even though studies have shown that medical marijuana positively impacts patients, the amount of research that can be done is restricted due to the illegal nature of the drug on federal level. This also has and continues to make it difficult for those trying to run or open dispensaries for the purpose of providing medical marijuana. Fortunately, there are providers that are willing to work with those in the marijuana industry despite the “high risk” label given by traditional lending sources. Medical marijuana payment processing is become the go-to solution for those trying to run or start up their business in the medical marijuana industry. The simple, fast and hassle-free application process has and continues to make it easy for businesses to receive the solutions they need without the endless documentation requirements and credit checks. For medical marijuana payment processing contact us today. The National Institute on Drug Abuse (NIDA), may have come out in support of certain chemicals in marijuana to treat cancer cells. A new study by St. George’s University of London, found that the two most common cannabinoids in marijuana, cannabidiol (CBD) and tetrahydrocannabinol (THC) have the power to weaken cancer cells, thus making them more susceptible to radiation treatment. 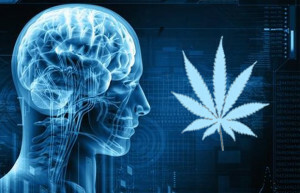 The study showed a drastic reduction in fatal brain cancers when the cannabinoids were introduced along with radiation therapy, a revelation that many marijuana advocates say gives the federal government another reason to loosen its control over marijuana legislation. Scientists of the study state that the initial results of the study are promising. They believe the cannabinoids have the potential to provide a breakthrough for the treatment of glioma (tumors). While the ability of marijuana to treat health conditions is common knowledge, it is surprising that a government entity would back a study supporting the use of marijuana for cancer treatment. 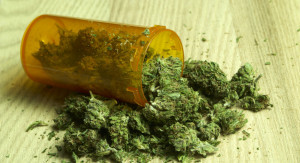 While the U.S. Food and Drug Administration (FDA) does not recognize the marijuana plant as a form of medicine, it has approved two medications that have cannabinoid chemicals in pill form. Right now, marijuana is listed as a Schedule I dangerous drug underneath the Controlled Substances Act. NIDA’s supposed support of marijuana as a legitimate treatment of cancer, comes after the introduction of the CARERS Act which wants to downgrade marijuana from a Schedule I status to a Schedule II. This would make the drug more acceptable to the federal government as a form or medicine. The bill would also take away cannabidiol, the non-intoxicating compound found in the pot leaf, from the Controlled Substances Act. 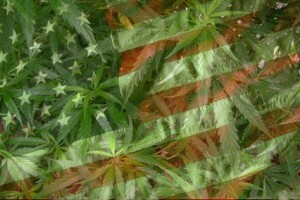 This would allow it to be distributed across the U.S. without violating federal statutes. Despite the recognition of marijuana’s medicinal worth and its ability to kill cancer cells, Attorney General Eric Holder has not made changing pot legislation a priority. Marijuana health advocates fear his position will be unchanged, even in the wake of this latest revelation. Even though the NIDA has recognized the medicinal value of marijuana, many marijuana merchants still can’t find competent recreational or medical marijuana payment processing. However, there are some experienced online payment processors like MMA that specialize in providing marijuana business funding. Learn more about expanding your customer’s payment options with debit and credit cards. Are you new to the marijuana industry? Could you use some tips on the marijuana growing process? The following tips are meant to help you as you get started. The goal is to grow the most potent marijuana that is legally possible – a successful product. In order to do this, you need to have a wealth of information at your disposal concerning marijuana seeds, germination, marijuana plant sexing, hydroponic techniques, indoor cultivation, outdoor cultivation, etc. Changing your grow lights is an important task to complete on a yearly basis. Why? If you don’t, the color spectrum effectiveness will lessen over time. Don’t be afraid to experiment with fertilizers in your grow garden. Doing this will confirm which fertilizer works best for your plants and therefore for your entire garden. Don’t overlook important small details, such as using Ph meters if you are growing hydroponic marijuana. It is crucial in this case to have the correct measurement. Allow your plants to have time and space. If your grow room is in the middle of the night cycle, be sure to led the plants have time on their own. Sterilization is not just for the hospitals. Be sure to sterilize both your clippers and your scissors. Wash your hands regularly as well to cut down on the bacteria and fungus – it is very easy to contaminate your grow room. This point is so crucial that some growers have taken sterilization even further by using a fungicide on seeds both before and during the germination process. Make sure to fulfill your cannabis plants need for fresh air. Like any other being, these plants thrive when they have a routine. Providing adequate ventilation cycles will not only help increase your plants growth rate but also speed the maturity process. Are you ready to get your foot in the door in this industry? Have you already begun, but have encountered the obstacle of finding a payment process provider that is reliable, reputable and safe? Finding medical marijuana payment processing is not easy with the industry labeled as “high risk”. With marijuana-merchant-account.com, you will not only find a marijuana merchant account that is suited to your needs, but you will also find an application process that is simple and hassle free. Upon approval, you can expect to receive your funds quickly and without the endless, tedious documentation requirements.